The rapid, 24-hour community based search aimed to identify as many species of plant, animal and fungi in bush land north west of Toodyay. More than 50 volunteer conservationists, farmers, university students and scientists took part, covering more than 300 hectares of private bush land adjacent to the Julimar State Forest. The president of the Toodyay Naturalists’ Club Brian Foley said property owners have been working towards creating an environment for the Woylie or brush tailed bettong to live in. “As part of the Bioblitz we undertook a nocturnal walk and found populations of the wyolie out searching for food,” Brian Foley said. “This species is on the critically endangered list which makes it a priority in trying to save it. Natural resource management group Wheatbelt NRM organised the Bioblitz, which resulted in more than 200 species being identified. The group’s regional landcare facilitator Leigh Whisson said it was likely some of the insects found had never before been identified. “We made some really exciting discoveries, including a species of skink, part of the reptile family,” Leigh Whisson said. 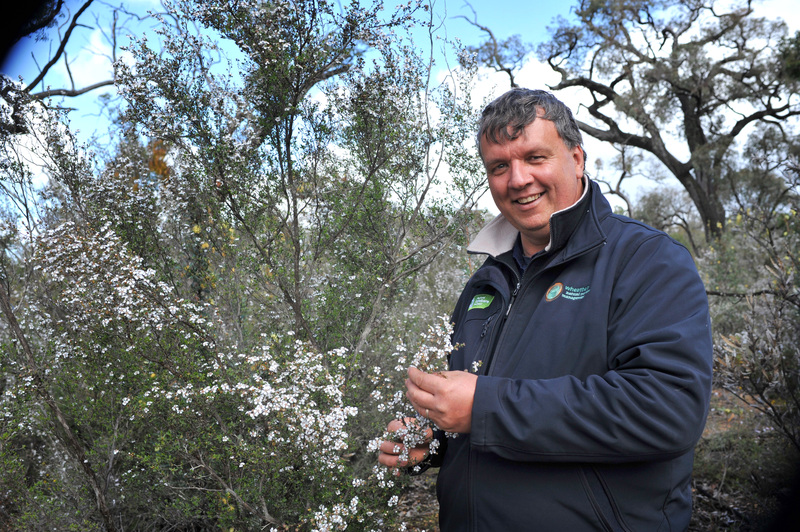 Leigh Whisson said the Bioblitz gave the scientific and general community the chance to interact and improve outcomes for the management of private and public bush land. “This information will feed into the management of the Julimar State Forest, for example deciding on species for rehabilitation,” he said. The Bioblitz was funded by the Australian government under its National Landcare Program.